Lord Rama – Is He a True Person and What is His Identity? In the Epic Poem of Ramayana, Rama had asked the same question. BhavanaJagat explores the Conceptual Identity of People and Lord Rama is the source of inspiration for such Investigation. Bhavana Jagat is trying to explore ideas and thoughts that are relevant to the problems of human condition and human existence. The purpose of Bhavana Jagat is not to describe my physical identity in this material world. It is not intended to share my biometric information. I may share stories from my experience or that of others. I look at my own ideas and thoughts and relate them to the ideas and thoughts that are expressed by others. It also interests me to look at an idea in relation to the place where the idea is expressed. 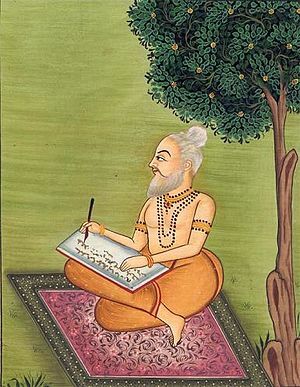 Ideas are very often connected to the environment in which the author of the idea exists.Ideas leave imprints of the place from where they have originated.To illustrate this point, let me cite this prayer to worship a poet popularly known as “VALMIKI”.There are no historical records about this person.As per the legend, he belonged to the Kirata Bhil community and was known as Ratnakar.He was illiterate and made his living as a bandit. By simply repeating the Two-Letter Mantra known as ‘Ra Ma’, he got transformed into a most creative poet of entire humanity. The bird Kokila is recognized by its melodious song. Valmiki lives in the hearts of millions of Indians for his melodious rendition of Rama’s story popularly known as Ramayana. The reality of Kokila connects me to the Ultimate Reality of RAMA, and the connection is VALMIKI, and the path is that of singing the sweet sounds, and repeating the sweet words of RA, MA. Aaruhya kavitaa shaakhaam, Vande Vaalmeeki Kokilam. 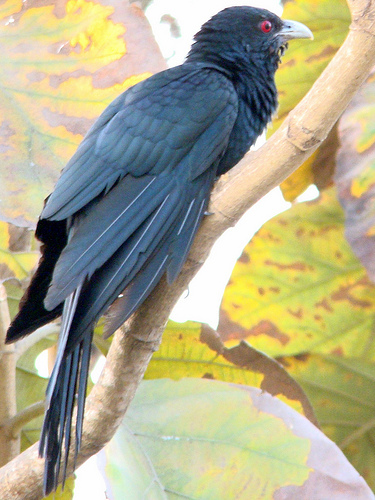 This hymn compares the person known as Valmiki to a song bird popularly known as KOEL the Cuckoo which belongs to the family Cuculidae, Order Cuculiformes.There are about 127 different species in this family of birds.The Cuckoo birds that are found in Europe,America, and India belong to different species. Only the species that is found in India is known and described by its Sanskrit name of ‘KOKILA’.This song bird(KOKILA) has climbed (Aaruhya) into the branches of a tree known as ‘Kavitaa’ that is Poetry and is found singing(KUJANTAM) in its melodious voice, the sweet sounds and the sweet words(Madhuram, Madhuraksharam) of Rama and Rama. This hymn helps me to understand that the Cuckoo bird known as Kokila, the poet Valmiki, and the person described as Rama belong to the Land of India. Our exposure to ideas and thoughts depends upon the place that we happen to live. I have explored ideas that define Indian Identity and those ideas are very unique to a geographical entity known as BHARAT or INDIA. My ideas also describe the places where I had lived and these connections between idea, person, and place are of interest to me.This interest in essence expresses my Indian Identity. We seek the Creator and worship Him in the objects of His creation. Our ideas are intimately associated with the objects found in our natural environment, the stones, the land, the plants, the trees, the flowers, the leaves, the fruits, the animals, the birds, the snakes, the fish, the turtles, the hills, the mountains, the rivers, the sea, the sun, the moon, and the stars are physically connected to us, shape our living experience, and generate the thoughts that are the products of our physical existence. I welcome readers to share their living experience and their thoughts that are products of their physical existence. KOEL,KOKILA, THE CONNECTION BETWEEN REALITY AND ULTIMATE REALITY. The geological past of the land mass known as India, the origin of Himalaya Mountains, and the elevation of Tibetan Plateau are all linked together in defining the Tibetan Identity. The ideas of Gautama Buddha, and thinkers like Acharya Nagarjuna that had originated in India have spread to the Land of Tibet and shaped their Culture. The illegal, brutal military occupation of Tibet is a matter of grave concern. 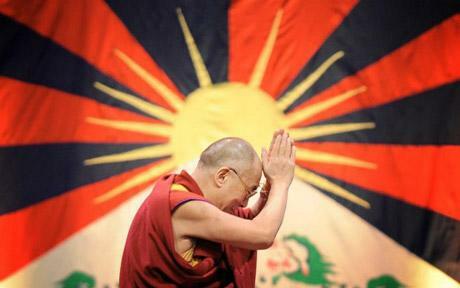 I oppose the oppression, and suppression of the Tibetan People and would like to restore their dignity and freedom. Tibet has a right to exist, keep its historical Identity and defend its unique Culture. 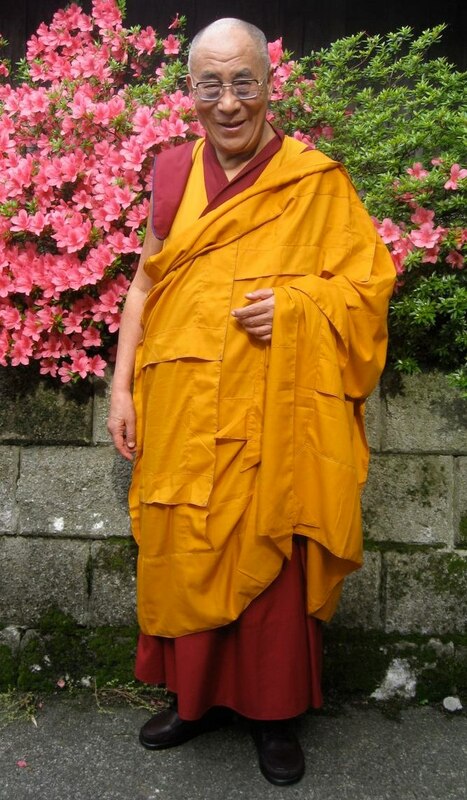 His Holiness The Dalai Lama is described as a reincarnated Soul. Buddhism supports the concept of ‘ANATMA’ or non-existence of Soul. Buddhism is based on the concept of the Law of Cause and Effect or Law of Causality. Action is the cause of all events. The illegal, brutal, military occupation of the Land of Tibet is an action that has effects. The effect that I have witnessed is that I host the Living Tibetan Spirits, the Spirits of some young Tibetan men who had experienced untimely death while dreaming about evicting the illegal occupier from the Land of Tibet. 1. Place of Birth : MYLAPORE, Chenna Patnam, Chennai, Madras City, Madras State, Tamil Nadu, India. Born Hindu( Brahmin, Niyogi, Smartha), Telugu-Speaking. 2. Date and Place of Marriage : January 29, 1973. Congregational Town Church, Cuddapah, Kadapa District, Andhra Pradesh, India. H.H. Dalai Lama is a witness to the pain and suffering of Tibetan People. I am waiting for his prayers to be answered. THIS COMMENT IS OUT OF CONTEXT,BUT TO JUST SHARE WITH U…RAHIMAN BAAT AGAM KI ,KAHAN SUNAN KI NAHI. JE JANAT TE KAHAT NAHI ,KAHAT SO JANAT NAHI. u r the kind of person who enjoy more ,than share,keep it up.but still like fragrance u cant control it,so i will enjoy. Nice blog, only thing is, it would have been nice to see due credit to the photographer, for the photograph you used in your blog. Thanks for the suggestion. Kindly tell me if you are the photographer of any of the photos that I have used. I used some photos and the identity of the photographer is generally not available. Secondly, the purpose of the photographer and my idea of using that image are not identical. I use the photo to discuss an idea or a mental concept. I want the reader to visit my blog to know the ideas that I am exploring. The photo or image is like a bait that is often used while fishing. Yes I am the photographer of the Koel shot. Thanks for giving me the opportunity to attach your name to that beautiful Koel shot. It is you, the Koel, the Poet who connect me with the Reality and the Ultimate Reality. I see no other way to contact the webmaster of this site but to leave a comment. I hope this does not disrupt whatever is going on here. Can you provide the source of the 4th image on the page entitled “TARANGINI – THE WAVE THEORY OF IMMORTALITY” with the caption “Ripples are undulating movements on the surface of water.”? We would like to find out if the image is available for commercial use. Thanks for visiting the post. I am pleased to note that you have liked that photo. I am not the owner of that image and it is my impression that the image could be available for use including commercial use. Kindly keep in mind that I believe that man is a physical, mental, social, moral, and spiritual being. I would not like you to discourage in any manner and I am hopeful that you may use it for a good purpose. tell me how many people know (read , write, speak) sanskrit language in 2011 census of india? Thanks for asking. My view is that most of us know to speak Sanskrit as we know the words and ideas expressed in Sanskrit language; words like Karma, Satya, Guru, Dharma, and Janma. 1. I stumbled on the site while surfing and what a pleasure it is to go through the contents. They are excellent informative reading material and most thought provoking. I am sure your intellectual prowess and insight into the great indo-saraswati-gangetic enigma will be instrumental in spreading the awareness and making it easier to understand by layman like us. 2. It would be a pleasure to keep in touch and share the experiences. Thanks for visiting my blog post and sharing your comments. Indeed, Sarasvati symbolizes our pursuit of pure knowledge and perfect wisdom. We need to set our minds free and let Sarasvati flow. Saraswati has dried up. It has gone underground. It needs a Bhagirath to surface it. To discover Sarasvati, we should not wait seeking help of Bhagirath. Man’s urgent need is not only that of knowing the world around him, but also that of knowing about himself. Man must know and understand his own cognitive powers. Mental inertia is the biggest stumbling block and the man who is seeking knowledge about himself may seek the blessings of Sarasvati to destory that mental inertia. Man creates mental fences, and erects mental barriers arresting the flow of Sarasvati. Man has to free his mind, clear the barriers, remove the fences to ensure mental fluidity, the free streaming flow of thoughts and Speech. Excellent blog and with your permission would love to use some references, and articles for my blog. Thanks for that comment. I too like your blog posts. Just came across your deep and thought provoking blog. As a school going kid I have been treated by you. In fact, we lived in the same building at Marredpally, Secunderabad, in 1979. My father then Maj. G. N. Nair worked at the AOC Centre. I am called Manu at home and Deepak Nair is my official name. I am now 44 years old and have been living in Muscat since the past 19 years. My father retired as a Lt. Col. in 1985 and thereafter was re-employed in the army for another 5 years. My parents are now settled at a place called Cheppad that is 40 km from Alleppey in Kerala. My older sister Manju (Deepti Nair officially) is a Kendriya Vidyalaya School Principal at Jabalpur and her husband is a Colonel now posted to Pune. Manju’s elder daughter is studying medicine (4th year) at Kilpauk Chennai and son is in Xth Std. I have 2 kids. Son nearly 12 years old in VIIth and daughter not yet 4 in LKG. My wife is Preetha. She is a B.Tech Civil Engineer from Kochi. I have done my masters in Communication & Journalism from Osmania University, Hyderabad. Been running my own enterprise into publishing and web since 1999, in Muscat. I don’t have your personal email ID, hence this note from your blogsite. Thanks for visiting my blog and posting your comment. It gives me a great pleasure to hear from you and to read the details about you, your sister, and your parents. I sent you a letter and shall keep in touch with you. Your article about Lt.Gen. VVS Pratapa Rao (Retd.) is completely erroneous. You publish your works with a pompous air of philosophy. I also have documents to prove your slander and overall defamation of character to be completely without merit. If you wish to prevent yourself from entering legal proceedings I would strongly recommend that you remove all posts about him. Just as you have scanned documents to claim he was a fraud, I have originals to prove your claims to be baseless. Thanks for reading my blog posts and sharing your concerns with me. I am glad to read that you have some original documents to prove that I made claims that could be bogus and are baseless. Kindly scan those original documents and share the photo images with me and people who read my blog posts. You need not threaten me with legal proceedings; if you have the right documents, the truth would be revealed by the contents of those documents. I am willing to correct my observations and remove matter that is baseless or erroneous. Kindly specify the corrections that you would like to see and support it with whatever evidence that you may have. Kindly note that I was a member of India’s Armed Forces and not that of a private militia owned by Lieutenant General V V S Pratap Rao. I would be most happy to view his birth certificate based upon which he had obtained an extension of his Service. How had he joined Service, without knowing his correct age? I know his date of death, but not the date of his birth. dare to do what you have done. I hope you reflect on this and think, even just for the sake of a man who has passed, not to defame, not to insult, not to slander. I am particularly seeking support of my Brahman Caste members to ask Government of India to give me due recognition for my role in OPERATION EAGLE 1971. If they are Brahmans, I expect them to take pride in my role in a difficult military operation in Chittagong Hill Tracts to initiate Liberation of Bangladesh. Kindly make this offer to General Rao’s children and if they think it is reasonable, they should be able to accomplish it within 15 minutes time. General Rao had served in Army Medical Corps and his children should get an opportunity to know about my contribution to Army Medical Corps. Kindly endorse copies of their letters to Dr. B V Ramarao; rbodapati@hotmail.com. I will make amendments to my blog posts and remove those comments/statements that refer to General Rao. Ma Karma Phala Hetur Bhurmatey Sangostva Akarmani. Someone on the internet posted a very nice thought regarding that quote of the Gita: “You have got choice only over your action (karma) and not over the result of the action. So its okay to desire a favorable result but not be attached to the result and not to set conditions that only a favorable result’ll make me happy or content. Be unattached with your work (any kinda work), property, people, possessions… they belong to you but don’t dictate your life or happiness…” This quote is more than applicable to your previous statement. They need not stroke your ego, but you must understand your own dharma, and even more so have to understand that by doing what you are doing, you only hurt yourself and your own karma. Thanks for your kind response and glad to hear about your connection to India and to the State of Andhra Pradesh. I value your ability to state your personal opinions and commend you for the same. As I have stated in my blog posts, I never had spoken to General Rao. There were just two occasions in my life when I had visually seen him from a short distance; 1. the first time I saw him at Rajahmundry Railway station while he was speaking to my father who came to give me a send-off, and 2. the second time I saw him was in Muscat, Sultanate of Oman where General Rao worked as a radiologist at Ministry of Health. Myself and my friend worked for Ministry of Defence and my friend spoke to him while I remained seated in a car. General Rao had visited Military Hospital, Secunderabad during December 1982 while we celebrated Army Medical Corps Day. I was present in the function held at Officers’ Mess and did not see or contact General Rao but heard his speech from a distance.I have no subjective experience of this person known as General Rao. My observations, my statements, and my comments about him are based upon an objective analysis of his official conduct. The Director of Medical Services(ARMY) also of the rank of Lieutenant General had openly espressed his resentment and communicated to Brigadier Bhattacharya, Commandant Vehicle Depot, Delhi about General Rao’s interference in the performance of the duties of DMS(Army). Shri. Pendekanti Venkata Subbaiah, Union Minister of State for Home and Parliamentary Affairs(1980-84) had directly spoken to General Rao during 1983 about my Posting Orders and had obtained a promise from General Rao to change those Posting Orders issued in 1982 which my Unit had refused to implement. General Rao made the promise to the Home Minister to get his help in obtaining a clearnce from Home Ministry to enable him to proceed to Muscat to work for Ministry of Health. When General Rao had failed to keep the promise and continued to illegally harass me, the Home Minister directly spoke to Shri. Kamakhya Prasad Singh Deo, Union Minister of State for Defence. Shri. Kotla Vijaya Bhaskara Reddy, Union Cabinet Minister for Shipping and Transport and for Industry and Company Affairs(198-84) also directly spoke to Union Minister of State for Defence to oppose the actions of General Rao. These are not any subjective feelings or opinions. I am describing the actions taken by three different Ministers of Government of India who had directly intervened to stop General Rao’s policy of Harassment and unfair and unjust treatment affecting the career of a junior Officer. I am not speaking about my Karma. I am just displaying the true colors of an individual who had no desire other than that of undermining my ability to serve in Uniform with Dignity and Honor. I must admit that I admire your frankness and for telling me about my sense of ego and about enlisting support from others to satisfy my sense of self-pride. You are not the first person in my life to make that kind of observation. My father, and my brothers thought that I am a person with ‘ego’ problem. That was the chief contributing factor that shaped their decision to reject the kind proposal made by Lieutenant General V V S Pratap Rao when he met my father at Rajahmundry Railway Station and later when he met my brothers in Hyderabad. My closest family members held an opinion that I am a proud person and they did not want to stroke my ‘ego’. To ‘checkmate’ my ‘ego’, they had refused General Rao’s proposal. They had feared that establishing a close family relationship with General Rao could further escalate the problem of my ‘ego’. They were afraid that I may receive undue favors from General Rao and seize the opportunity to advance my career in Indian Army. I conducted a thorough self-examination and over the last 25 years I had lived away from India and I live a life of utter simplicity. This experiment in Simple Living has helped me to understand the term ‘ego’. I do not live with any sense of internal dissatisfaction. I am contented with what I have. However, I am actively asking Government of India to grant the award that was recommended by my Unit Commander during Operation Eagle 1971. I am demanding this award in recognition of the ‘Living Tibetan Spirits’ that I keep alive in my Consciousness. These young men had given their lives in the battle and were not given any award or public recognition. I am their witness and they have witnessed my courage, determination, maturity, and willingness to defend their lives to the best of my abilities. You may have to kindly acknowledge the fact that I did not demand this award while President V.V. Giri was in office. I did not bring this issue to the attention of President N. Sanjeeva Reddy. These two Presidents of India had very close relationship with my maternal grandfather. I did not mention about my meritorious service in my personal, and private interview with Shri. Kamakhya Prasad Singh Deo, Union Minister of State for Defence at his office in South Block on September 18, 1983. The Minister had accepted my request to relinquish my Permanent Commission as General Rao, the DGAFMS made no mention about my exemplary service in his remarks on my application. Furthermore, I am not writing on behalf of anyone but the everlasting soul and memory of Gen. Rao. I would hope that when the day comes for you too to lay down and sleep, that the people of your khandhan would do the needful. Thanks for the above clarification and I am sorry for I had asked you to speak to the children of General Rao.I am rather surprised to note your desire to conceal your true identity while posting your comments. Very few people in Indian Army, and Indian Army Medical Corps know about Brigadier Rao’s affidavit seeking a change in his date of birth. I had obtained this information while I was stationed in Ambala during 1977/78. I have not disclosed this information to others. I had no intention to malign his name and there is no malice in my actions in spite of my access to his personal, confidential information. Since you know this private and confidential information, it establishes the fact of your blood relationship with General Rao. I had received this personal, and confidential information from an informant( a Defence Service Civilain Staff Officer ) that worked at Army Medical Directorate and Brigadier Rao had obtained his services to submit his affidavit and to get approval from Government of India to alter the records of his birth date information. At that time, I was concerned that my application for Advanced Training in Paediatrics was rejected by the Office of the DGAFMS while Lieutenant General Biruduvolu Durga Prasad Rao was the DGAFMS. This event to reject my application for Advanced Training in Paediatrics took place after your father’s visit to Rajahmundry. He spoke to my father at Rajahmundry Railway Station and had personally assured him that I would be given a chance to get selected for Advanced Training in Paediatrics as I was awarded the DGAFMS Silver Medal in Medical Officers Junior Command Course 67/76. Unfortunately, for me the situation got changed when your father returned to New Delhi because of a negative decision made by my father and brothers. I had no role in that negative decision but I became the victim of Brigadier Rao’s anger and he had sustained these feelings of personal animosity while he had served as the DGAFMS. I had joined Army out of my personal conviction and spirit of nationalism and I wish that your father had given some recognition to my record of service to the nation. If you look at my Record of Service, you would recognize that I had served in Special Frontier Force, an establishment under the Directorate General of Security and I had worked along with members of Intelligence Bureau and Research and Analysis Wing. I was in a position to obtain precise, and accurate information using the help of an informant and was able to know the source of my problem at New Delhi. Later, during 1978, I had officially withdrawn my application for Advanced Training in Pathology and the Director of Medical Services(Army) sent me on posting to AOC Centre, Secunderabad. The DMS(Army) has the authority to post Medical Officers and the DGAFMS has the authority to select Medical Officers for Specialist Training, Courses, and etc., I was very patient and I did not use my political contacts and influence to affect the career or life of other Senior Medical Officers like General BDP Rao who had deliberately harmed my opportunities to seek professional training. I was entitled to file a Statutory Complaint to the Government of India and could have obtained a decision in my favor by contacting the Union Minister of State for Defence. I did not do so. I filed a Non-Statutory Complaint and General BDP Rao promptly rejected the same without assigning any reason for that decision. I had received a single sentence response stating that my Non-Statutory Complaint was rejected. I did not expose such wrongdoings while he had occupied the Office of the DGAFMS. Your claim to be a person of Anglo-Indian ancestry born in Andhra Pradesh does not convince me. It shows that you are not really familiar with the Anglo-Indian community of Andhra Pradesh. There is no reason as to why you must hide your personal identity. If you want to fabricate a lie about your Identity, you may have to acquire some more skills to learn about Identity and to describe your Individuality. Many of my blog posts deal with the subject of defining Indian Identity. If you truly respect your father and your true ancestry, take courage to speak the truth about yourself. I am not a child of Lt Gen Rao, so I would ask that you would not refer to him as my father. That is an honor I do not possess. My name is Todd Embers.I was born in Andhra Pradesh, India. I did reside there for most of my life.I did,however, study in England, Italy, France, USA, and Canada.You do not know me, nor have you met me. With this I take your leave. TODD EMBERS and yes, THAT IS MY REAL NAME. Thanks for that kind clarification about your relationship with Lieutenant General VVS Pratap Rao, the former Director General of Armed Forces Medical Services, Ministry of Defence, Government of India. I have clearly stated in my blog post that I have no subjective experience of this person. I have never interacted with him directly. Shri.Pendekanti. Venkata Subbaiah, the former Union Minister of State for Home and Parliamentary Affairs(1980-84) had directly spoken to General Rao and had asked him to change the posting order(transfer orders) that he had initiated during 1982. General Rao responded to the demand made by the Union Minister of State for Home. General Rao had specifically instructed Lieutenant General Banerjee, the Director of Medical Services(Army) to repost me to AIZWAL, Mizo Hills(Mizoram). As per that demand made by General Rao, the DMS(Army) issued the second posting order on 07 October, 1982 and had posted me as DADMS, Project Pushpak. Lieutenant General Banerjee, the Director of Medical services(Army) had expressed his sense of resentment about the manner in which the Director General of Armed Forces Medical Services had interfered in the performance of the duties of the DMS(Army). The official actions taken by General Rao give objective evidence of the misuse and abuse of power and position and describes the illegal nature of his official conduct. To oppose his illegal action, I had submitted my resignation from Service and had the support of the DMS(Army). General Rao had not given me his permission to relinquish my Permanent Commission. He had insisted that my Unit must implement my posting orders. His demand that I must be posted to AIZWAL, Mizo Hills was not supported by my Unit, it was not supported by the DMS(Army), and it was not supported by the Union Ministers and a Member of Parliament. I was granted a private interview with Shri. Kamakhya Prasad Singh Deo, Union Minister of State for Defence on 18 September, 1983. On 17 September, 1983, the DMS(Army) had directly received in his office a letter, duly recommended by my Unit Commander (who was on Temporary Duty in New Delhi) I had submitted to him without using the official Staff channels. The DMS(Army) sent this letter to the Defence Minister who had granted my request disregarding the recommendation given by General Rao. The formal orders approving my resignation were issued by the Ministry of Defence on 10 January, 1984. I had worked as Senior Regimental Medical Officer, Army Ordnance Corps Centre, Secunderabad until 10 January, 1984. The fact that the two posting orders issued in 1982 were not implemented provides objective evidence about the nature of General Pratap Rao’s official conduct. The problem was not that of my ego. Several Senior Officers, the Member of Parliament, and three Union Ministers recognized that there was a problem in the Office of the Director General of Armed Forces Medical Services. ideas and thoughts that are relevant to the problems of human condition and human existence. Your blog dates back to 2007 and i guess you would have written a lot, i have only gone through your latest postings. Very interesting, informative and relevant and I hope to be a regular visitor to your site. I am also interested in the exploration of the human situation and have experienced an awakening long time ago. I also have a blog of my own titled ‘Sublimation’ at subbusg.blogspot.com. I would be happy if you have the time to go through it. My explorations continue and wish you the same. Thanks for visiting my blog and sharing your comment. Mr. Todd is apparently related to General V V S Pratap Rao and is offended by my remarks. I sincerely regret the fact that I had to write such remarks about a person who belongs to my Caste community, speaks my mother tongue and has served the Nation by joining Indian Army. But, if you look at our epic poems like Ramayana, and Mahabharata, we understand problems like sibling rivalry and feud among members of the same clan and same families. I have to speak and reveal my feelings just like the characters in those epic poems have done. Life is always a subjective experience and we have no choice other than that of subjective experience. I have tried to provide objective evidence of my subjective experience of life while I had served in Indian Army with a desire to be part of a national effort to defend our Nation and our combined Heritage. I had served with a sense of Pride and my own father thought that I am a man of self-pride or ego and hence I lost my battle not because of enemy action but by the nature of feelings expressed by close relatives and their actions to subdue my self-pride or ego. By doing so, if they have served the cause of my country, I will be happy and I will be fully satisfied. If Lord Rama could lead life in forest exile, with His Mercy and Grace, I am spending my life away from India since 1984. I seek the same inspiration with which the great Telugu poet Bammera Potana has translated the epic poem of Bhagavata Purana into Telugu language. I feel inspired to write about human nature, human condition, and human existence. I will be happy to read your posts and share my comments with you. The seeker will find , sooner or later , today I am quite happy to have found your blog . May the divine force keep the ernergy flowing in you so that the radiance of your knowledge keeps shining bright .Om tat sat . Thanks for visiting BhavanaJagat. I seek inspiration from the divine name of Lord Rama who had inspired poets like Bammera Potana. Dr. Sigmund Freud has claimed that “No knowledge can be obtained from Revelation, Intuition, or Inspiration.” I am inspired to reveal that matter becomes living matter when knowledge is implanted in its substance. Living matter functions in nature with its innate or intuitive knowledge. Acquired or learned knowledge is not the biological basis for human existence and the living functions that are the characteristic of Life. Please send me an email; I need to talk about something …. Thanks for visiting my blog and thanks for asking me to write to you. Kindly discuss your thoughts and ideas at this page. You need not disclose any personal information. This is a forum that could be viewed by public and you are free to share your ideas or concerns without revealing your identity. R. Rudra Narasimham, B.Sc., M.B.B.S., Personal Numbers:MS-8466/MR-03277K. Rank:Lieutenant/Captain/Major. Branch:Army Medical Corps/Short Service Regular Commission(1969-1972); Direct Permanent Commission(1973-1984). Designation:Medical Officer. Unit:Establishment No.22(1971-1974)/South Column,Operation Eagle(1971-1972). Organization: Special Frontier Force. Thanks for visiting my blog posts and I am pleased to note that you provided a link at your latest webpage. I had visited your page and found it to be very interesting. Thanks for visiting my blog posts. I am indeed pleased to visit your very interesting webpage. Learn to love before you live, live before you die, and die with a clean soul.. Only then can you achieve the true goal of human nature, and that is to WIN. Love you Rudra, and may you LIVE with happiness. Thank you Travis. To find happiness, man has to stay connected with a source of happiness. It is important to be a source of happiness to others, while we continue the pursuit of happiness. I am indeed your classmate who studied at Danavaipeta Municipal High School, Rajahmundry. Thanks for visiting my blog post and thanks for writing to me. I will write to you.